Crowdfunding offers investors, both large and small, an online platform from which to place financial bets on promising companies. Unlike the financial sector of yesteryears, many modern crowdfunding opportunities today are offered in the form of micro-investments. Investors are better able to put up small sums (as little as $100) for a share in their company of choice. This type of low-risk social funding is part of an overall trend toward migrating aspects of the financial services to a more accessible digital platform. 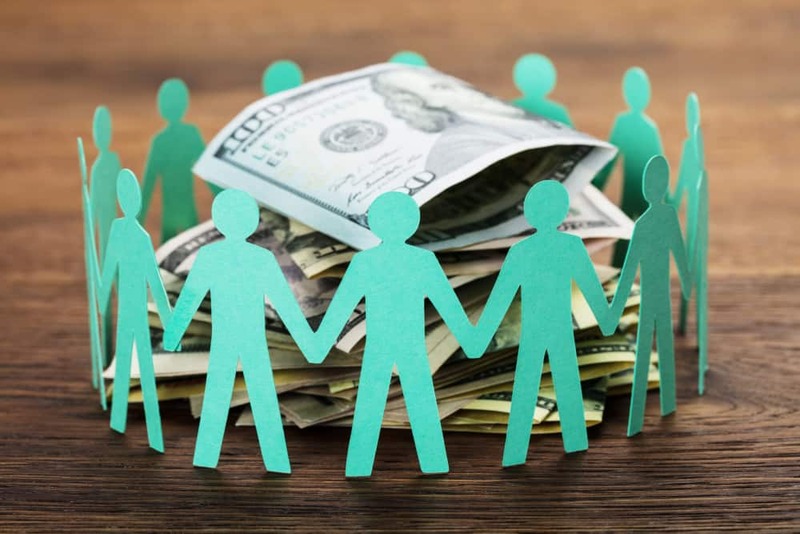 For those considering entering financial services as a career path, crowdfunding is an aspect that deserves some attention, as it is an integral part of the current industry ecosystem. It offers a better market for entrepreneurs, a broader global market, and more accessible digital resources for companies seeking advice. On May 16, 2016, the Jumpstart Our Business Startups (JOBS) Act was passed, helping small companies use crowdfunding to gain investments by easing national securities regulations to help boost economic growth. In light of this boost for small businesses, crowdfunding has expanded the market for funding entrepreneurial ventures. Thanks to a digital world, instead of having to source loans, companies can now use the power of crowdfunding to match up with investors worldwide to fund their endeavors. Entrepreneurs who strike out in their pursuit of conventional capital have many more advantages at their fingertips than their historical counterparts. Crowdfunding helps investors meet their companies more organically, and with less red tape in the marketplace. The low barrier to entry also encourages angel investors to loosen their purse-strings and take greater risks that can spell salvation for today’s luckier startups. This helps startups get a seat at the table and gain exposure in the investment market, no matter how small or unknown they begin. New crowdfunding platforms also make it easier to match up investors with investments, research opportunities and gain access to digital advice. The new trend of crowdfunding has greatly expanded the investor market globally. Equity crowdfunding platforms offer entrepreneurs a much simpler foundation for acquiring funds by letting them access investments while still maintaining company control. A digital platform that sources funds through crowdfunding means that not only do companies benefit by reaching a broader market, but they also benefit from smaller investments that do not require relinquishment of control in order to capture adequate funding. There are more benefits to the global investor market than simply finding a larger audience. Global crowdfunding platforms also help small and large innovators gain recognition, whether or not their efforts originate from developing countries or full-fledged global powerhouses. Because crowdfunding does not require reliance on professionals, investors must be self-directed and rely on their power of observation to find and follow the breadcrumb investments of talented fellow investors. Customers who can’t financially afford a traditional advisor are more likely to find an economical alternative online that can fit their budget. In today’s world, digital advice is more prevalent than ever, but investors are still slow to reach out and take advantage of this accessible assistance. Independent crowdfunding experts provide not just affordable one-on-one advice, but they also offer workshops focused on building successful crowdfunding campaigns. Some innovative advisors even put their own skin in the game by deferring payment in lieu of taking commissions based on the capital raised by their customers. Crowdfunding advisors do not only help shape the campaigns of their clients by applying tenured industry experience but can lead companies toward other similar campaigns that achieved success. In addition, advisors know their way around the market and can lead clients toward likely investors that they know have an interest in their client’s particular niche. There are always some uncertainties when investing. Exercising caution is a prudent proposal for those taking advantage of the industry’s new focus on crowdfunding. But today’s transition toward a digital financial platform that can cater towards both small investors and small startups is providing better opportunities for investors to make smaller bets, or companies to broadcast funding campaigns globally. Startups and other companies that face challenges gaining more traditional funding can benefit from increased exposure to investors and remove the shackles of location by reaching a broader global market. Startups with greater access to digital advice, paired with investment opportunities that carry much lower financial risk, create a platform that encourages investors to take on new opportunities and startups to spread their wings.